Classical French design has been refined with modernity for DeWitt’s stunning chandelier – incorporating delicately curved arms finished in Sunrise Silver. They each house a small scroll tipped with a single clear teardrop crystal – mounted above by candle-style sconces. 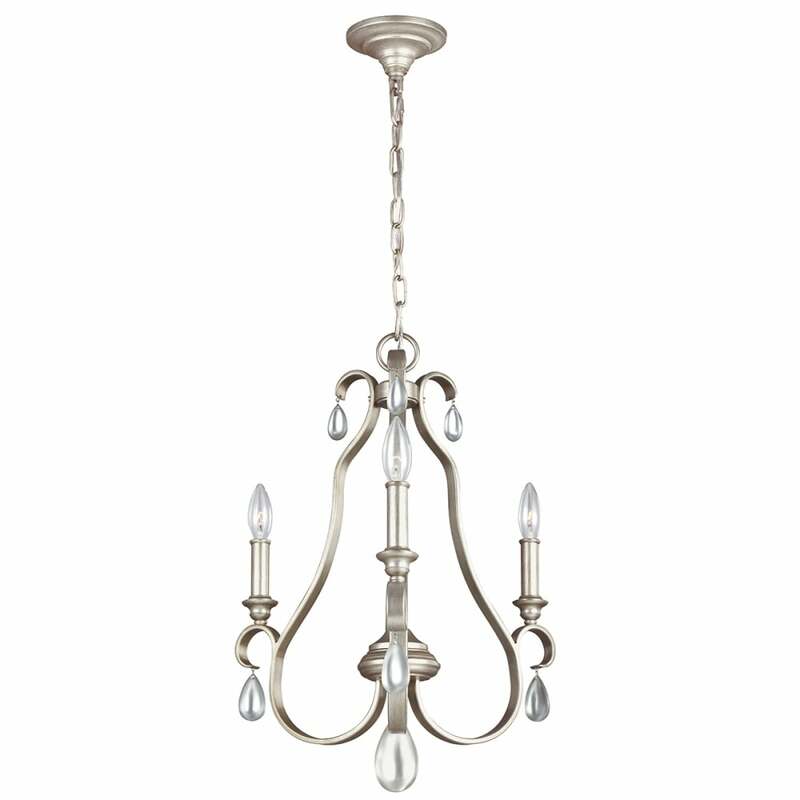 This gorgeous chandelier is ideally placed in bedrooms, hallways, living rooms and entrances. Matching wall lights and a separate Pendant Chandelier, ideal for a hallway, are also available. View All Feiss for more information on DeWitt or view the complete DeWitt Collection. - Supplied with 2134mm of chain.